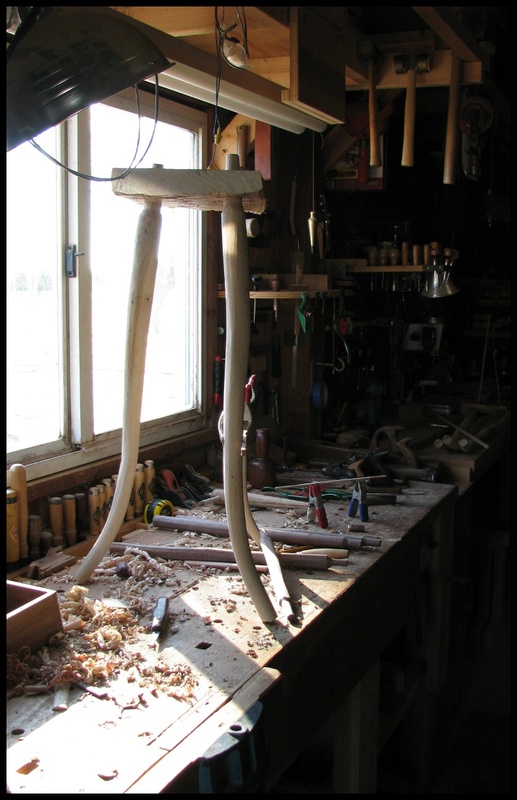 Photos in the workshop of one of a pair of three legged post oak stools. Still in a very raw – and experimental state. The bend and splay and stance of the legs. Laying out for the black walnut rungs. 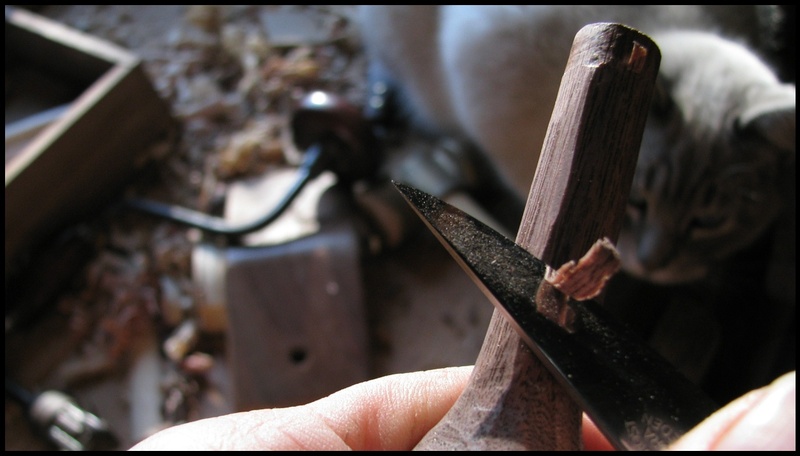 Shaping tenons on the rungs. Is that the natural shape of the lets, or were they steam bent? 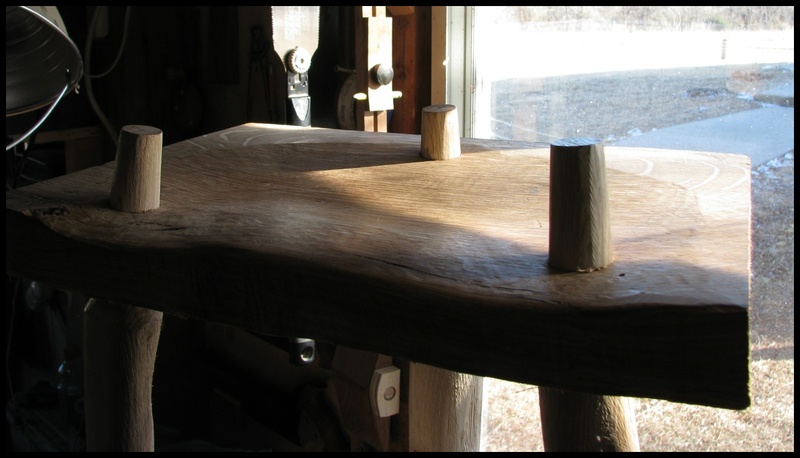 The curve at the base of the legs was bent while the oak was still green. 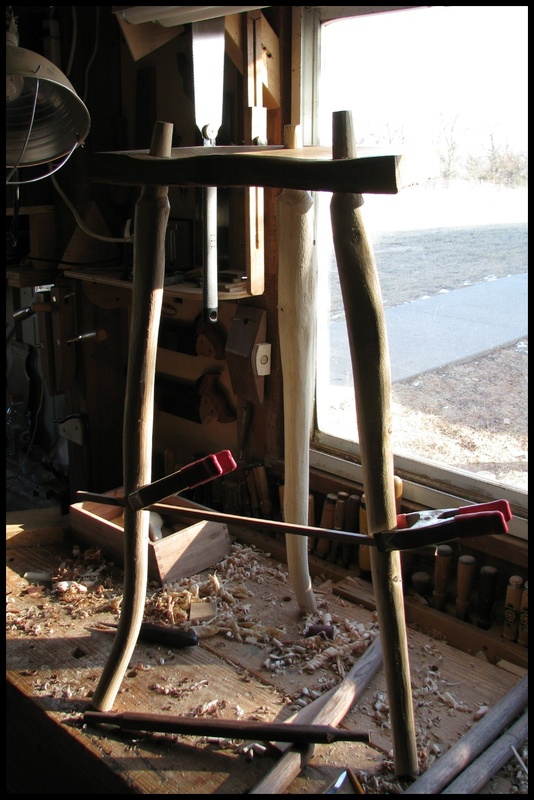 The rest of the curves and twists in the legs is natural. The tree I cut has kind of wrested control from me over the design of this chair. The question is: does the tree know what it is doing? I’m so excited to see how these turn out! Alan, I do hope they turn out to your satisfaction. There is no doubt that it has taken turns that I hadn’t planned on. This tree has a lot of personality, and has insisted on it being known.